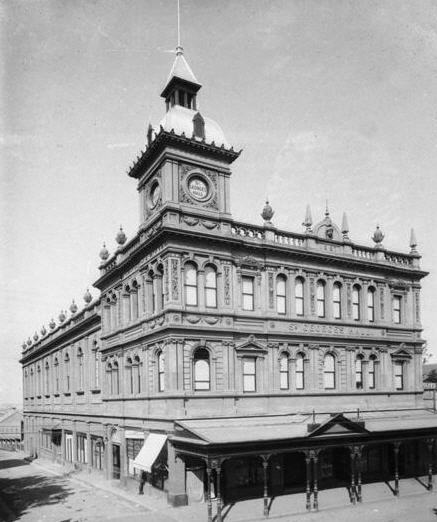 (1913-present) King Street (opposite Newtown Railway Station). 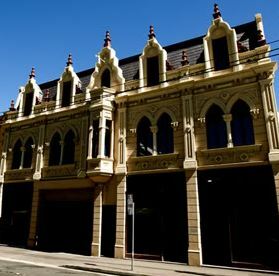 Built by Harry Clay, the 1500 seat Bridge Theatre catered largely to Sydney’s densely populated inner city suburban districts – Newtown, Enmore, Glebe, St Peters, Erskinville, Stanmore, Redfern, Camperdown, Annandale, Alexandria and Darlington. Following Clay’s death in 1925 it was run by several of his managers before being leased out from 1929 onwards. From 1939 onwards it has been known as The Hub, and under this name was used almost exclusively as a cinema up until its closure in the late 1990s. 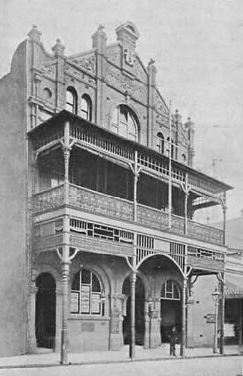 Formerly the open-air Enmore Picture Palace, new owners William and George Szarka enclosed and remodelled the venue, reopening it on 3 October 1912 as the Enmore Theatre. 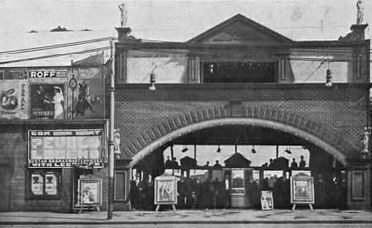 Although primarily a picture house, brief vaudeville performances were often included between films up until at least the late-1920s. The 1912 opening included for example Fred Bluett and Ernest Barraclough. 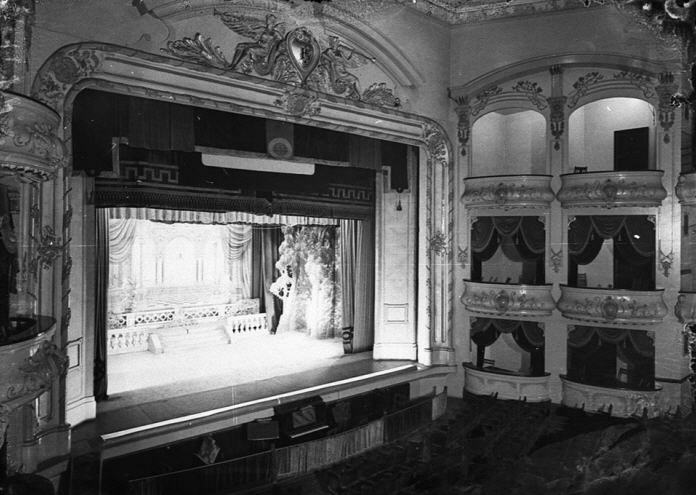 The theatre was remodelled again in 1920, and in 1927 ownership passed to Hoyts. In 1969 the Louis family bought both the Enmore and Hub theatres. The Enmore continues to be used for live theatre. For a more extensive insight into the Enmore Theatre see Robert Parkinson’s Picture Shows in the Marrickville and Newtown Districts 1898-2012 (2012). 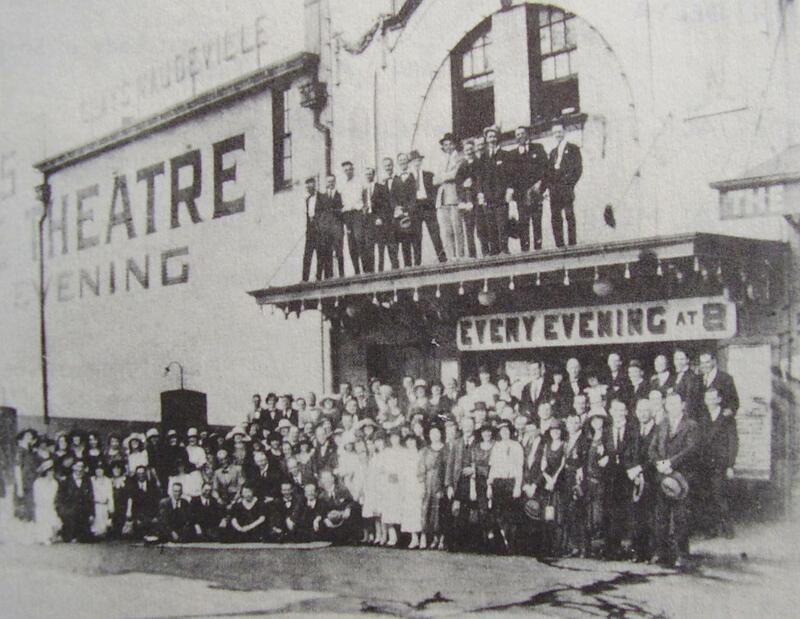 Image: Enmore Theatre in 1912. Source: Jubilee Souvenir of the Municipality of Newtown 1862-1912 (1912), 199. The Fullers opened this 2,000 seat theatre on 2 June 1917 with Bert Le Blanc’s Travesty Stars as headline act. Initially a vaudeville house, going up against Harry Clay‘s Bridge Theatre (directly opposite), it was later used for “legitimate” theatricals. It was converted into a cinema in the early 1930s but this did not prove successful. Renamed the Elizabethan Theatre after being leased by Australian Elizabethan Theatre Trust in 1954, the theatre was purchased by the Louis family in 1966. The building was destroyed by fire on 19 January 1980. Image source: Hood Collection, State Library of New South Wales. Built on the site of the Oddfellows Hall (1868-1903), this three storey structure initially served as both a picture and a vaudeville house. Among the acts to appear there were McKisson and Kearns‘ Surprise Party (1905), Charlie Pope‘s Vaudeville and Bioscope Co (1906), the All-Star Vaudeville Company (1907), and Will Herbert’s Entertainers (1907). From 1908 the hall was used mostly for community dances and functions. The building was eventually converted into private apartments. Image: Jubilee Souvenir of the Municipality of Newtown, 1862-1912, 63. St George’s Hall opened on 12 June 1887, serving as a venue for community events and touring theatricals. Harry Clay worked there occasionally as a manager during the 1890s. By the end of the decade competition from other Newtown venues saw it used as a furniture storage facility. After being renovated and restored as a venue in 1903, it became part of Clay’s early suburban circuit. Later also used as a cinema, the building was purchased by the Department of Education in the 1970s as a performing arts space. Image Source: State Library of NSW. Formerly the Trocadero and Academie de Musique (1889), and a sometimes skating rink, the Trocadero was revived as a picture and vaudeville house in 1908 with a lease by Crawley’s Oxford Hall Pictures and Star Vaudeville Co. It continued to be used for these purposes up until ca. 1917. In 1916, for example, films were screened there on Wednesdays and Saturdays, with vaudeville presented on other nights. The building appears to have been used primarily for skating from 1917 onwards. 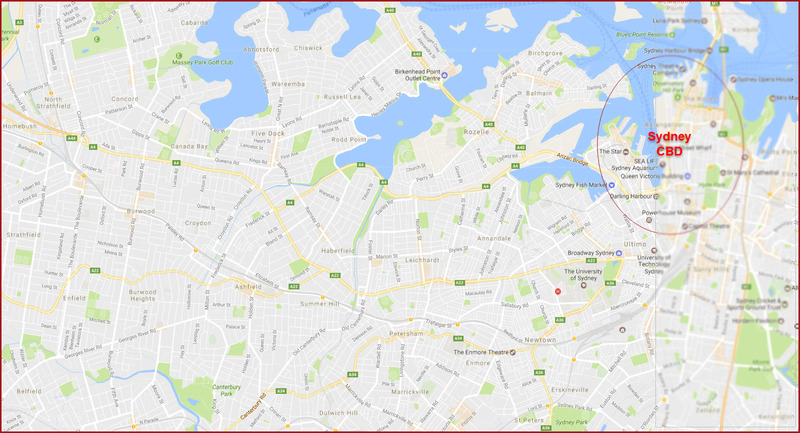 For further insights into the Trocadero see Robert Parkinson’s Picture Shows in the Marrickville and Newtown Districts 1898-2012 (2012). Image: Trocadero facade, 2010. Source: 52suburbs.com.au. The Szarka Brothers 2,000 seat Victory cinema opened on 29 October 1924. The film programmes also typically included vaudeville acts as a support. Competition from other nearby cinemas saw the theatre struggle, however, and within a year became known as Szarka’s Olympia Boxing Stadium. In 1931, after several years of limited activity under the lessee-ship of Victory Theatre Ltd, Fullers’ Theatres took over the theatre and renamed it the Addison. Later lessees included the Broadway Theatre Co and Greater Union.